The San Luis Obispo County Board of Supervisors is expected on Tuesday to place delinquent Los Osos sewer bills on the property tax roll. Out of the sewer charges billed for the last fiscal year, a total of $326,045 remains unpaid, according to a county staff report. The county has not received 14 percent of the funds that were owed. Delinquent charges for properties range from a little more than $100 to nearly $50,000, with the larger bills belonging to multi-unit locations such as schools and trailer parks. Some of the outstanding bills only represent a portion of what was owed over 2016-2017. The county plans to assess penalties and interest on those who do not pay the full amount owed. Eventually, the county could foreclose on homes with delinquent sewer bills. 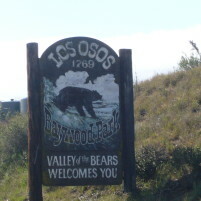 Numerous Los Osos residents are angry over the possibility of people losing their homes. “You want to throw people out of their homes?” said longtime Los Osos resident Cinthea Coleman, 70. Coleman received one of the letters notifying property owners about a delinquency, she said. Other Los Osos residents say the number of delinquencies reinforce the notion that sewer bills are unaffordable. At Tuesday’s hearing, Los Osos property owners will have the opportunity to present objections to the sewer service charges they have been billed. The complaints will receive due consideration, according to the county staff report. Only a fool would risk losing their house over $175. Have a garage sale. Put up a go fund me page. Stand on the street corner with a tin cup. Rent a room in your house. Get a part time job for cash. Ask to pay $25 a month. These retirees want everything for free! Why can’t they pay for the services they use! You can’t afford $150? Get a job deadbeat! The community of Santa Margarita needs to investigate the rumor that SLO County Public Works is funding a study for a CSA 23 sewer system. CSA 23 is within the foot print of the Town of Santa Margarita, with the surrounding Ranch providing the needed acreage to construct a State Regulated Sewer Farm (Crap Farming can also be done by the private sector) the needed growth can happen to help fund government employee expenses. Fortunately for the Santa Margaritans, they are already near full development and septic failures are due to individual property development issues. This community is as close to a balanced aquarium that the people foot print can offer. We have a reliable water supply, clay geology for separation and existing State laws that govern legal septic systems. Simply put, affordable water and self managed waste, it doesn’t get any more affordable than that. The alternative is one large pile of you know what and fines that are routinely paid to various regulatory agencies. This is the classic development to harvest property owners for all cost, a cost that only makes cents at the time of sale and for the newly created tax assessments. And to think after 30 years of dominating the news, we had thought we’d heard the last of the dreaded Los osos sewer.